Now that I am retired, and although I am not quite settled, you can expect to hear more from me more than you ever did in the past. Yay! I want to share my lessons with you and to improve my writing. One way to get better is to write more frequently. Sleeping past 4:30 a.m., my old morning ritual, is doing my mind, body, and spirit well. After the gym, I felt a strong urge to whip up a nutritious meal in the kitchen. Of course, my new kitchen is fabulous and enhances my cooking experience. I thank God every day. If you keep vegetables in the fridge, you can always put together a fast meal. Even if you think you can’t cook, I betcha that you can do this!! 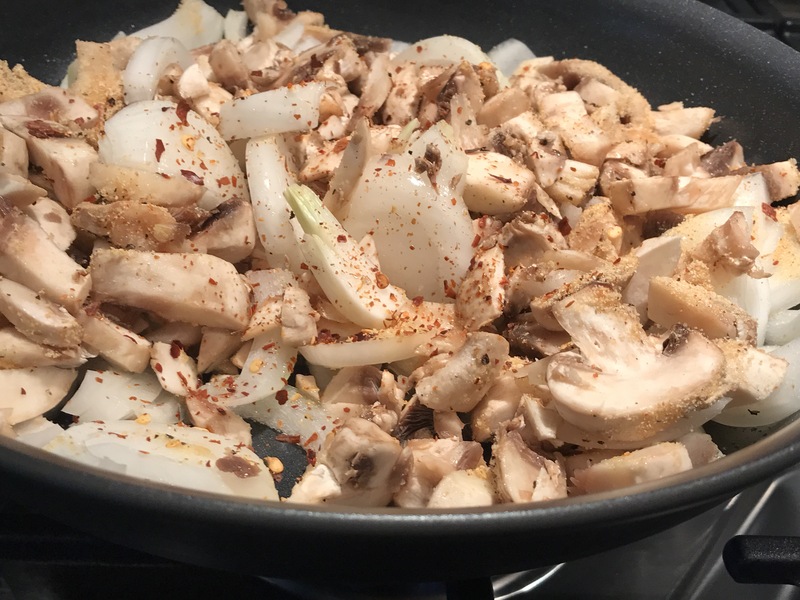 Mushrooms, sweet onions, freshly ground black pepper, garlic powder, crushed red peppers, and olive oil sautéed in a pan. My new and simple toy. 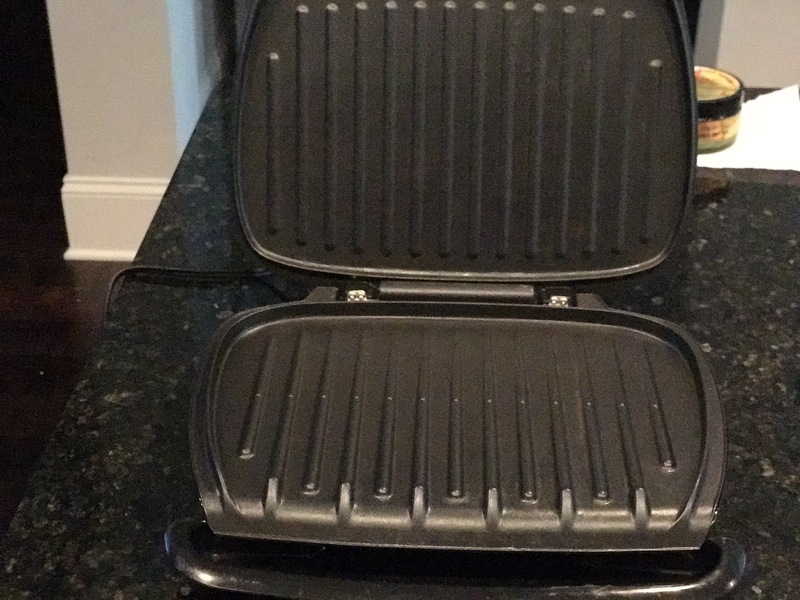 A George Foreman grill. 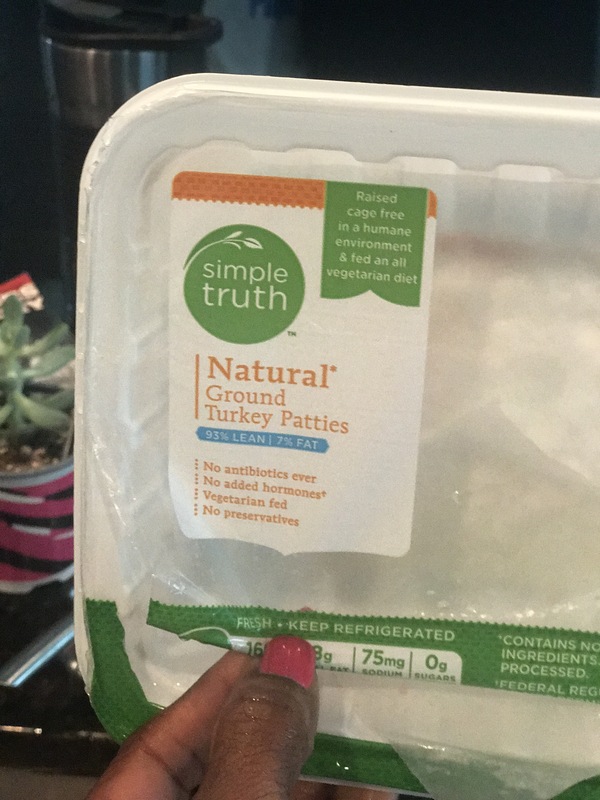 Unseasoned natural turkey patties. I buy them when they are on sale and keep them in the freezer. Since I am shopping in a new community and at new grocery stores– Kroger and Publix, I am feeling my way through the aisles, looking for healthy food items at the best prices. I recommend buying meat unseasoned because you can control the amount of sodium and other ingredients. Here I sprinkled freshly ground pepper, a dash of sea salt and a little Cheyenne pepper. 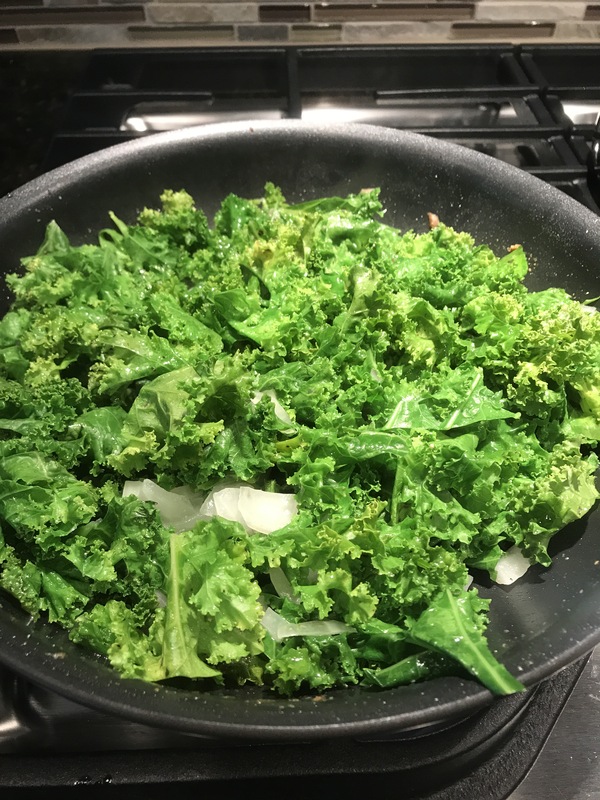 I planned to make a kale salad, so I had a bunch of kale already cleaned in the fridge. I grabbed two handfuls and tossed them in a pan with onions. 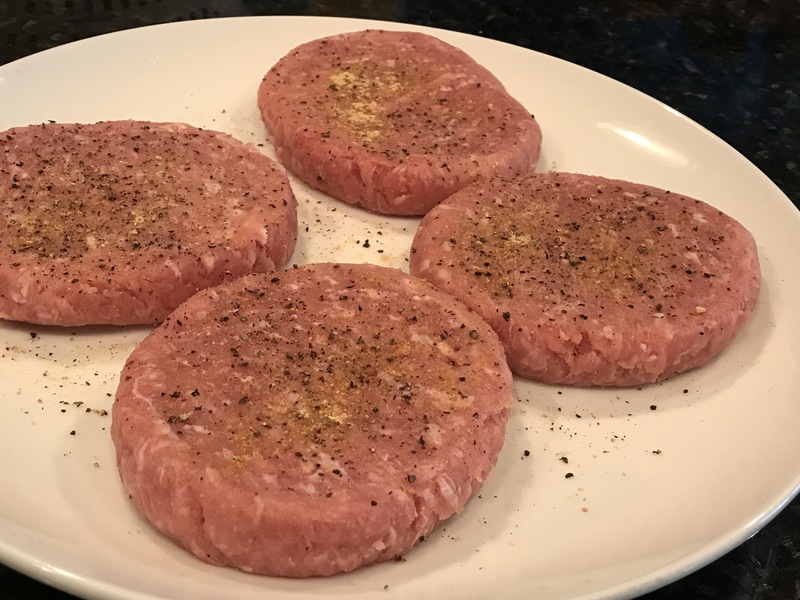 Sprinkled with the same seasoning, except the Cheyenne pepper, they cooked for less than 10 minutes. 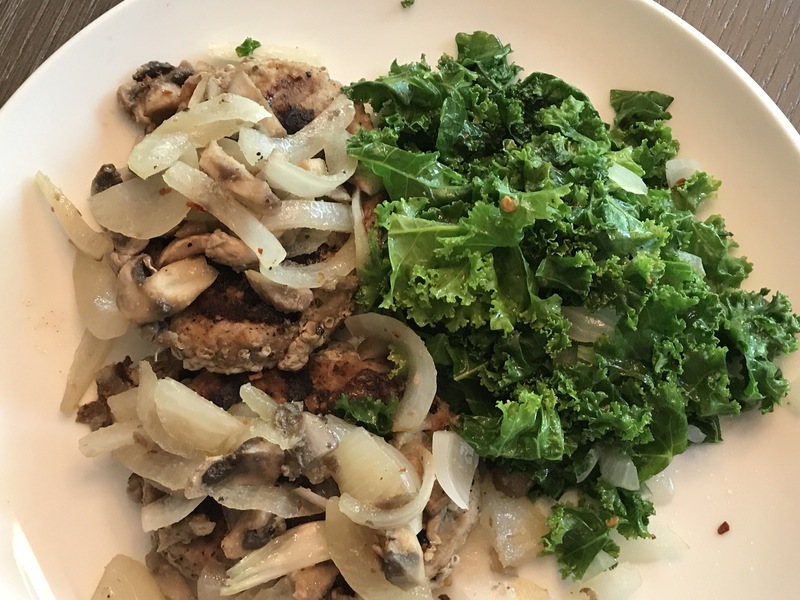 Finished product- two turkey patties smothered with mushrooms and Vidalia onions (no gravy, sauce or additional condiments needed), next to freshly sautéed kale. There is no way possible that you can convince me that you can’t cook this. Give it a try and please tell me how you made out. Besides this dish is an ideal post-workout meal, it’s an easy meal prep idea, as well as dinner. I could take this turkey patty to a new level but the idea was to be simple. If you don’t eat turkey, sub with beef or seafood. If you’re a vegan, have the mushrooms over quinoa. There are always options, the main idea is to put your creative hat on and have fun. Cooking shouldn’t be serious. After lunch, I unpacked more boxes. As I write this from my cell phone, I’m getting a much-needed pedicure. My feet are tired. I worked legs this morning at the gym and the hardwood floors at home make the bottom of my feet and ankles hurt. I recovered a few years ago from a severe case of plantar fasciitis. I should not be walking barefoot on hard surfaces but I am a woman with island roots so I love to walk barefoot! Hahah! But no more. Tomorrow I’m buying footwear that is it strictly to wear at home. This entry was posted in Fitness, Healthy Eating, Healthy Living, Inspiration and tagged cooking, eating clean, mushroom dish, post-workout. Bookmark the permalink. Love looking at the recipes. Looks like a keeper. Thanks for sharing! I hope you retirement is everything you want it to be!! I thrive off of dishes like this!